Planning a press launch for your startup can be a lot like throwing a party — you want it to be big. You want a lot of people to come and be amazed. You’ve worked hard to make everything perfect. In this case, it’s a product you feel passionately about. You’ve finally pushed the button to set it live, and — nothing happens. No one shows up to your party. Your emails to reporters go unanswered. Your launch — your one opportunity to make a splash — makes nothing more than a small ripple on the surface of the internet. A lot of companies learn this lesson the hard way, says Terra Carmichael, VP of Global Communications at Eventbrite. While corporate communications encompasses more than media relations, that specific task requires a confluence of special ingredients, and even when you have them all you still might not get there. These days, startups are feeling this pain more than ever because the tech media’s in flux — fewer companies are getting covered, and there’s a daunting amount of noise to break through. But there are still prime tactics to get the attention you need. In this exclusive interview, Carmichael identifies four steps you can use to find and pitch the right journalists for whatever you’re building (even if you’re a total unknown). 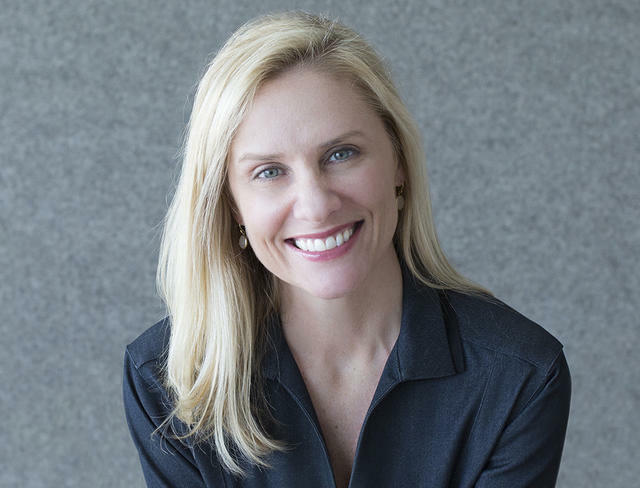 She also leverages two decades of communications experience with companies like Yahoo, Eventbrite, Mattel, Nike and many startups, to walk you through what to do, and how to keep your own team aligned and enthusiastic as you go. Tech journalism has changed in a few marked ways. Amid economic turmoil around 2008-2009, many newsrooms shrunk. Additionally, some outlets have struggled to make the transition from print to digital. All the while, the number of startups looking for media attention has surged. “We’ve got fewer reporters covering a pool of companies that’s growing massively,” says Carmichael. “Competition is stiff, and founders need to understand that calling TechCrunch or VentureBeat won’t guarantee them a story anymore." Landing national press — like The Wall Street Journal or New York Times — sounds like the ultimate win, but it’s very rarely necessary. “In my early days of doing media relations for Mattel and Kellogg’s, we all wanted to get on Oprah or the Today Show — but that was back when everyone actually watched those things,” she says. “That’s just not the case anymore. Audiences are incredibly fragmented. Now, you can have the same impact through a combination of smaller, more targeted outlets." To make good on this, founders must let go of the idea that they have to land a ton of high-profile press to make the impact they want. “Your goal should be to reach the people you truly need to reach — whether that’s candidates for jobs, prospective customers or investors — the real win is getting your message in front of the right people,” she says. And there are many more ways to reach your intended audience. When you set the bar for coverage so high, you end up ignoring the more valuable ways you can get your message out, and that’s what hurts your company — not getting snubbed by The Times. In the early 2000s, for example, Carmichael had the foresight to spot the emergence of personal blogs and their potential to promote the companies she represented. To capitalize on the upswing, she flew a number of rising star tech bloggers in to get face time with executives. “We legitimized their work at a time when they weren’t getting respect from the establishment,” she says. “The strategy to embrace them — and more importantly, to ask for their feedback to make the product better, created a lot of loyal, influential connections for us." It’s harder than ever for startups to get press. Don’t just aim high — aim smart. The first step many founders think to take when they are in need of media coverage is to hire a PR agency. But most of the good ones want a $20K a month minimum retainer fee. There are options for companies who aren’t ready to shell out for this, Carmichael says. One option is to invest time in your own execution. Particularly if you're at an enterprise company, or not needing to get a huge press round to reach your goals, you can run your own PR strategy. Her key guidance: Think about PR the way you think about product. “People develop products to create a solution to a problem,” she says. “So ask yourself: What do the customers for your solution really need? What’s the language that they speak (i.e. what is in their regular vocabulary)? What’s going to resonate with them? You would evaluate all the same things to craft a good product. Now, your challenge is to craft a story that resonates with them.” This is where everything has to start, regardless of whether you’re working with an agency or not. Make relationships that transcend launch. Don’t be lulled into a false sense of complacency when you get press around your launch or funding announcement. “A lot of outlets are partial to covering launches but then nothing else,” she says. “You’ll see a spike in traffic, but in no way can you count on that continuing.” You need to think about a steady way to generate interest — which is where trade outlets and non-mainstream publications come in handy. Use your launch to form lasting relationships with reporters. Be grateful. Volunteer to be a resource for them on other topic areas they might be covering. Offer to make valuable introductions for them. Host a dinner for reporters interested in your sector where they get access to experts or data that might help them out. This will heighten your chances of future coverage, and make you friends who you can ask more casually for press advice or help going forward. One media field day isn’t going to do it. What’s your plan for getting consistent coverage? Background check reporters. Conduct searches for news that’s related or relevant to your announcement or subject matter. Who are the journalists covering those stories? Make a spreadsheet, capture this information, including links to their past stories. Reporters have concrete beats and interests. You want to find the people who cover the area most relevant to what you’re doing. Get to know their work — what questions do they seem keen to answer? What trends show up in their stories again and again? Which of their stories seem to get the most engagement (shares/comments/reads)? How can you mold your message to speak to these things? Craft and time your angle. “Read your industry’s media compulsively,” she says. “What’s being said? What are topics that get covered repeatedly? How can you start to pattern match what’s interesting or hot to cover? How can you connect your interests and message with those patterns?” Never send a press release with limited context to a reporter. Always reach out with a specific explanation for why you chose to write to them, why you think it fits their work and their audience. Don’t be verbose. Just be clear. There’s a Venn diagram of stories you want to tell and the stories the press wants to tell. The crossover is always tiny. Finding it is an art that takes time. Keep up with reporters regularly. “You have to put the work into grooming these relationships once you have them. Be inquisitive about their interests on and off the job, but it must be genuine. Share and make nice comments on their stories. It can be something as simple as “Hey, congrats on the piece today — you nailed XYZ…” Don’t go overboard, but you want multiple and ongoing touchpoints with these people. Just like how in advertising and sales it takes several repetitions to get someone to purchase, the same is true for reporters writing about you. A lot of what we do is built on trust, so don’t kiss up or have inauthentic exchanges. It has to come from the heart. Don’t get frustrated and bitter. “Good communication strategies are games of patience and persistence. It takes time and you will fail,” she says. “Press is not easy to get for startups, especially if your work isn’t consumer-facing. All you can do is nail your message, find the right reporters, and keep trying. Don’t expect things to happen just because you put in the work and don’t let rejection deflate you.” Remaining helpful and friendly to reporters, even if they haven’t picked up your stories in the past, wins you the long game. Time your approach. “Don’t ever cold call a journalist with a pitch. That pisses them off more than anything else. Do not send repeated emails asking if they saw your first email,” says Carmichael. There are a number of unwritten rules. You want to always reach out early in the week — ideally Tuesday. Mondays are too busy, and by Wednesday they have plans for what they want to accomplish. Send emails before 8 a.m. in time for them to bring the idea to a morning editorial meeting. Never send a pitch on a Friday afternoon. Prioritize founder outreach. Depending on the stage of the company, it might be best for the founder to actually send it. Reporters can be much more receptive to founders than anyone else. They want to know they’ll have that level of access, and it will be in their best interest a lot of the time to have a good relationship with the founder. Make it easy. “When I lined up that meeting for my CEO and the reporter from American Banker, I sent the journalist a brief package beforehand of information with background on the CEO, relevant data about the company, key things we were working on,” says Carmichael. “I wanted him to come in feeling prepared to ask the bigger questions.” Afterward, she sent a follow-up with all the stats and points that had been mentioned during the meeting. Many of them ended up in future stories because they were right there on a silver platter. We found a cultural touchpoint, tied it to our business, and built a long-standing campaign around it. Speaking opportunities help you start to build a ‘legitimacy CV’ — you can list the events you’ve presented at in future conversations with reporters, etc. to get in the door. They also help make you ubiquitous to reporters and your target audience. If they keep hearing about you or seeing you again and again, you automatically seem more successful or worthy of note. Additionally, there’s often press in the audience that cover panels, so sometimes speaking is a good opportunity to get on their radar. Reach out to other types of influencers. If you’re struggling to get traditional press, identify your influencers who regularly come into contact with your target audience and get some warm intros to them. Content marketing is exploding in popularity, mostly because companies have had more success with it — sometimes even more so than traditional media relations. The beauty of owned content is that it's yours start to finish. Press, on the other hand, isn’t a guarantee, it can be hard to get, and — unlike owned content — you don’t write your own headlines or control the content. Carmichael notes that the best approach is to have both a content strategy and a comms strategy that are aligned, but not entirely dependent on the other. “If you build it they will come” does not apply to content marketing. Content can't be effective if no one reads it — you have to double down on distribution. Optimizing for search results is a long game, but it's also one of the most effective strategies for getting your content found — no matter how "enterprise" your customers are, they still use Google. Pick the right type of content for your company. There are many to choose from — white papers and webinars, thought leadership pieces and ebooks. Different customers respond to different types of content, and knowing your customer and how they want to receive information is key. If, for instance, you’re selling to an audience that requires multiple tiers of approval within an organization, consider that when developing content — make it easily shareable, consistent with your brand, and possibly even beautiful with highly designed visuals. You want people to feel proud to have found this piece of content and share up the chain. Placing owned content with other outlets is also challenging. In many ways it can be harder, as owned content is often designed to convert a prospect to a customer — which can make it feel "commercial" or less valuable than something written by a neutral party. If press is the target, write your content with less of a promotional/sales bend and make sure your content does have value — it should be educational, entertaining, and insightful. Stop selling. Publish at a regular cadence and don’t bail too early. A lot of companies expect content to generate conversions immediately. ROI on content doesn’t work like that. It builds slowly and deliberately. It can take 6 months to a year to really kick in, so you need to have patience and conviction in the strategy. If you shut it down too soon, you’ll negate hard work before it has a chance to pay off. It’s easy to get so wrapped up in chasing press that you forget your number one audience — your employees and teammates. Sometimes founders get so caught up in the hype of their launch that they forget this audience altogether. Regular communication to your team is incredibly important and powerful when executed with authenticity, consistency, and timeliness. Additionally, employees can be your most potent ambassadors from day one, every day, around the clock. Their experiences and perception of what’s going on at the company will make it out into the world continuously. They’ll tell their friends and family how and what to think about you and the company. And they’ll either enthusiastically amplify your message — or not. Regularly-scheduled Q&As. “We hold sessions called Heart-to-Hartz (named after our CEO Julia Hartz), where employees get to ask any questions they want. It’s optional to attend and not recorded — just 30 minutes every week. We videoconference people in from around the world and the questions are all over the map.” Because the questions are never filtered, they can often be quite difficult. Hartz is known for not shying away, but will readily admit when she doesn’t know how to answer something. “I think a lot of leaders are too intimidated to do something like this. But we discovered how effective it is for Julia to ask the employees in attendance for help working out problems in real time when she doesn’t have all the answers.” These sessions have also tipped Carmichael and her team off to cultural issues before they’ve become bigger sources of tension. Empathetic notes. “Last year seemed especially full of tragic events — natural disasters, fires and shootings just to name a few. It was important for employees to know their workplace doesn’t exist in a vacuum — especially those with family in affected areas. These things impact people and the way they show up at work,” Carmichael says. “In these moments, the authenticity of our leader and what we stand for shines through. It’s not uncommon for Julia to write company-wide emails calling attention to how we can pause and support each other. People notice. They feel cared about and invested in. That’s much more motivating, authentic and impactful than any press hits could ever be. And it comes from the heart.” If empathy isn’t a trait of your top leader, identify an attribute that is and lean in to that. Authentically acknowledging a challenging moment can go a long way to building trust and pathways to open communications. Accept the reality: It’s going to be harder than ever for your startup to get press. You can no longer rely on the old game plans and strategies that worked for startups just 3 to 5 years ago. There are no guarantees even when you pay a traditional PR firm to get your name out there (though their relationships and strategic storytelling can pay off if you can afford it). The media and tech landscapes will only continue to change. There are a few things you can do to survive these shifting tides — and all of them are about building and nurturing relationships. You want to do this with reporters, influencers, readers and your own employees. All four can spread your message much farther and wider than you can on your own — but you have to make them feel special and give them all of the tools they need to do it. Target them specifically, get to know them as people, and think carefully about how your message and goals can align with their message and goals. Approach them all accordingly. Image courtesy of Mihajlo Maricic / EyeEm / Getty Images.